You must add this Walking Taco Bar to your Super Bowl menu! 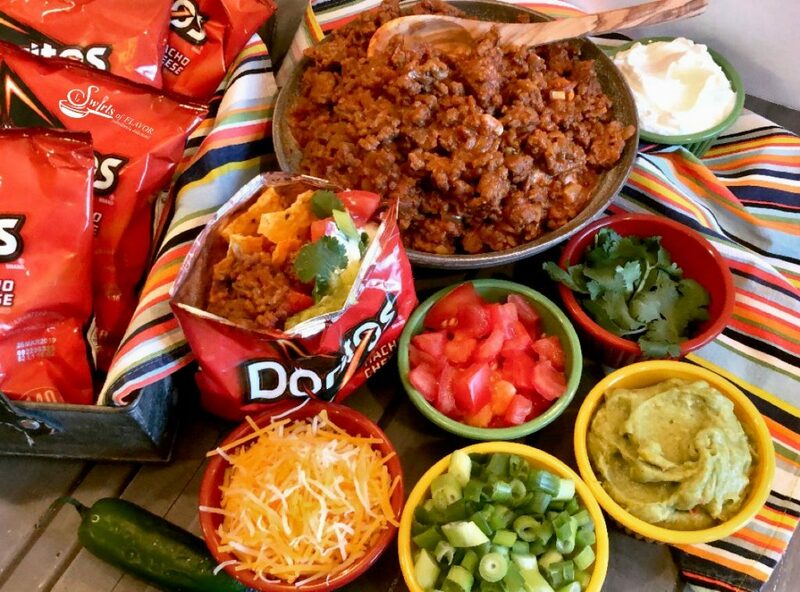 Our Walking Taco Bar is the perfect way to serve up a saucy taco filling and your favorite toppings for the big game. Just crush the chips in your bag, top them with a flavorful beef taco filling, pile high with lots of taco toppings, add a plastic fork and you’re all set! Your portable taco is in the bag for a fun and easy Super Bowl food with easy clean up too!